After years of new recipe testing, more research, and a full redesign, the 2nd Edition of Go Dairy Free: The Guide and Cookbook is finally shipping. Today is the official launch! 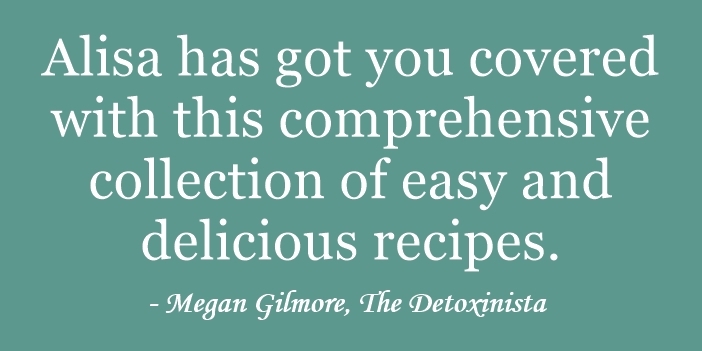 It has 160 new and improved recipes (250 recipes in total), massively expanded dairy alternative sections, and more lifestyle and kitchen tips than you can imagine. This is a huge collection of my dedication over the years, and I just know you are going to love it! Most people celebrate with cupcakes and streamers. But we were craving allergen-free jelly beans. This isn’t just a pretty makeover. Although I do think the new design is fabulous with a cleaner layout, normalized font size, and cool cover. 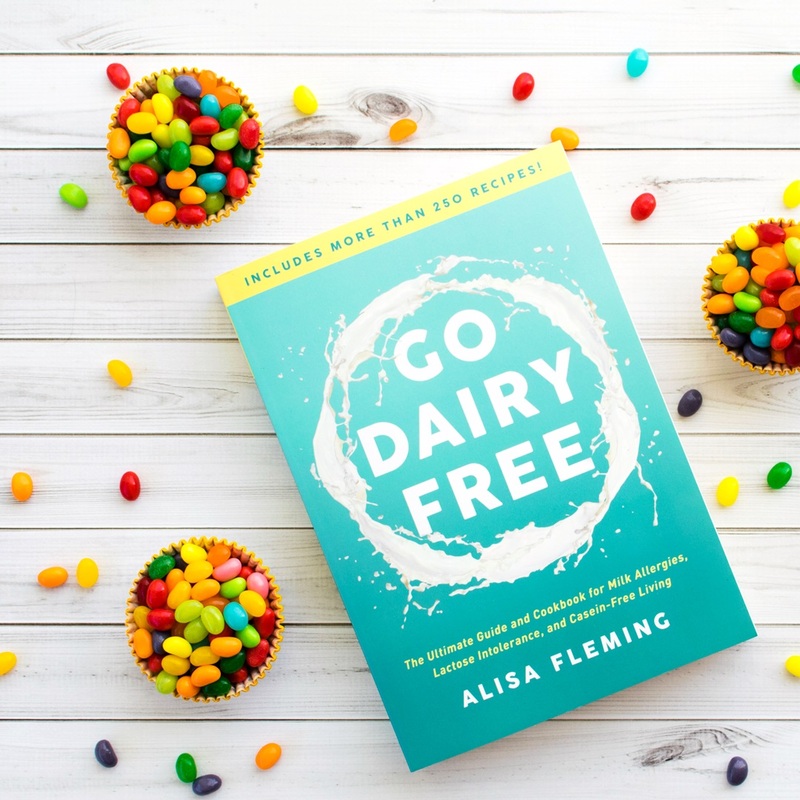 This 2nd Edition is a title that even current Go Dairy Free book owners will want. 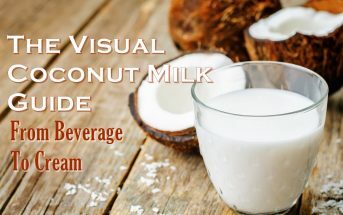 It has thousands of helpful tidbits, more health information, and a phenomenal new guide to milk beverages and creamers that will inspire you in the kitchen. I guarantee that you will learn several new things, whether you’ve just started the dairy-free diet or are a seasoned veteran. There is also a full allergy index right at the beginning of the recipe section for those of you with dietary needs beyond dairy free. 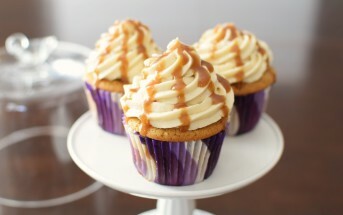 It includes gluten-free, nut-free, peanut-free, and soy-free. 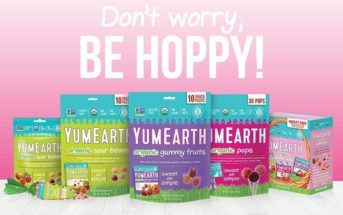 Every recipe has a fully-tested option for egg-free and plant-based! Can’t wait to see it, Alisa – hearty congrats! … and now go treat yourself to a spa day or something! Well that would be nice! YAY Alisa! You have so much to be proud of. I just had the first chance to sit down with your book, and I am beyond impressed. It is a must-have resource for anyone who is dairy-free or simply looking to reduce the amount of dairy they consume without sacrifice. Thank you Wendy!! I’m so glad you like it. I am going to have to get this book! Congrats on it! That is amazing! I hope you get the chance to enjoy it Kristina! i’m in South Africa. Any chance of the book becoming available here? I’ve never seen such a complete guide to ANYTHING before. Truly, I’m amazed at the incredible volumes of wisdom in these pages! Writing a comprehensive review is an intimidating task to tackle. Thank you so much Hannah! This means a lot. Thank you Whitney! And I really appreciate your support. Heavens, Alisa, this is a major collection! 250 recipes? Nice!! What a resource for people – I can’t wait to get my copy. You’re providing an incredible resource for folks! I hope so! Thank you Dreena. So excited to dive in! I have a dairy allergy so you are my go-to resource. Whoo hoo! CONGRATULATIONS! I loved this book ever since I reviewed the first edition on my blog (in 2009!!! )–and it’s become a much-used resource since then! 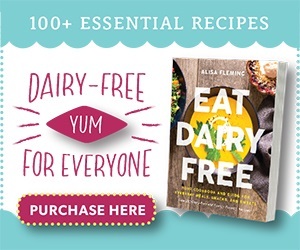 I love all the general information about every aspect of dairy-free living–SO helpful. Plus the amazing recipes (and *love* the fact that I can trust your recipes to work as described–always so reliable). I’ve made variations on those PB truffles dozens of times and the popcorn is a long-time fave of my hubby’s. So excited to get my paws on this new edition! Wow Ricki, I’m simply floored by your kind words. Thank you SO much and I hope you enjoy the 2nd edition even more! I just received the book days ago, and it is already a favorite with a permanent space on my kitchen shelf (high value real estate, that!). congrats on such an incredible resource, and THANK YOU for it! YES!!! I am so excited. Your book is such an incredible resource. My niece is allergic to dairy and your resources helped my sister so much. I’m excited to see the updated version. That’s so wonderful to hear. Thank you! I love your recipes, Alisa! 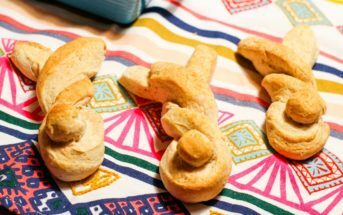 They are delicious, reliable and creative! 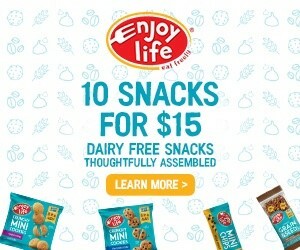 Thank you for making life so delicious and dairy-free! You are the sweetest Kim! Congrats on the new book, Alisa! I already have my copy, and I’m super impressed with just how extensive it is! There’s so much info packed into it! It’s definitely a valuable asset and a welcome addition to my library. Thanks Dianne! I’m obsessed with information!